After their inaugural year, the yearlong residential programs “Science in the Making: Integrated Learning Environment” (SIMILE) and “Immersion in the Arts: Living in Culture” (ITALIC) have adjusted their curricula and structures to better fit the needs of students. Both programs collected feedback throughout the 2013-14 academic year. ITALIC students voiced their opinions mostly through its open town hall meetings while SIMILE students were asked to fill out special assessments throughout the year. “They were very frequently asked ‘what worked,’ ‘what didn’t,’ ‘what would you like to see more of,’ ‘what would you like to see less of,’ and we took all that feedback very seriously,” said Kristen Haring, assistant director of SIMILE. Despite mixed early reactions, both programs have received positive feedback from their students, and SIMILE’s and ITALIC’s faculty also enjoyed working with the students. “It was intense; it was respectful; it was passionate about the arts, deeply committed; [and] it did much more than we ever thought it would do,” said Janice Ross M.A. ’75 Ph.D. ’98, professor of theatre and performance studies and faculty director of ITALIC. However, both programs still had some areas that needed change, and faculty members have revised the programs for next year accordingly. According to Haring, next year SIMILE will teach fewer, more specific topics since some students thought the program tried to cover too much. The new curriculum will also allow SIMILE to delve into more depth on the topics. Although former SIMILE student Alec Glassford ’17 appreciated the breadth of topics covered, he explained that covering less material may help freshmen better adjust to the rigor of college-level history courses. “I’m really glad that [the program is] exploring and trying to switch things up because I think that will make people more confident with their rhetorical abilities when they go into one topic [instead of many],” Glassford said. Haring said that the program will also include more hands-on projects in the fall, including a book-making exercise. The new SIMILE students will also be taking a field trip to Stanford’s rare book collection, an excursion that received positive feedback during the 2014 winter quarter. For Glassford, the trip was particularly memorable because he did a project on a book that consisted of only images that he found in the collection. He believed that the process of translating the books, many of which are not written in English, was challenging but worthwhile because it gave him a taste of what it was like to do original history research. “[The trips] make it really fun, and it feels like you’re doing real history,” he said. Besides planning more trips, SIMILE also added a new section to its application for prospective students: a separate short statement asking students why they want to participate and why this program is interesting to them. 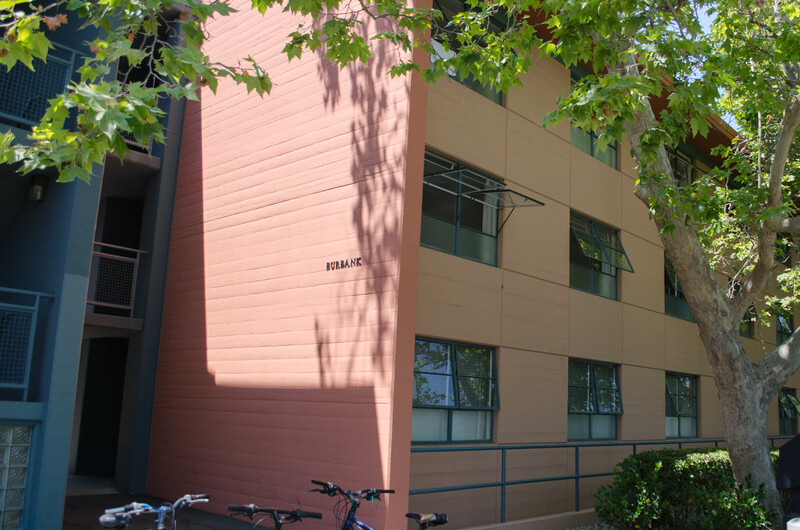 Previously, the program picked students based on their responses to questions in the Approaching Stanford packet, but according to Haring, the new supplement will ensure that next year’s SIMILE students understand the program and are good fits for it. Last year, according to Haring, some students came into the program thinking that it was going to consist of science or science policy material and were disappointed when they discovered that it focused on history. This year, the program changed the way it marketed itself to students. “We were very careful this year to change all of our marketing materials, and that’s one of the reasons why the website was completely overhauled to make sure that students understood that this was a history class,” Haring said. Along with changing its marketing strategy, SIMILE also designed an alumni program that encourages former students to mentor incoming students. Haring hopes that the mentors will be able to guide the freshmen through the transition from high school to college. “Those students will be able to turn to those former SIMILE students for guidance…and [the former students] will be the friend that will see them through the very difficult work that they are doing,” Haring said. According to Ross, ITALIC will have two new faculty members next year. One professor specializes in African-American literature and jazz music while the other specializes in art history and will serve as assistant director of the program. ITALIC alumnus Alexander Ronneburg ’17 believes that the new professors will enhance the program’s curriculum. Although he appreciated the program’s classical music focus last year, he hopes that the new jazz professor will add a new dimension to the music curriculum. In addition to the new faculty, Ross hopes that next year the ITALIC professors will create more overlaps in their areas of expertise. Before ITALIC, the faculty were from different departments and had never co-taught a class before, but now that the professors have listened to each other’s lectures Ross believes that the program’s curriculum will be more unified next year. ITALIC also seeks to improve the relationships between its faculty and the students. One former ITALIC student, Sarah Fullman, whose name has been changed to protect her identity, explained that communication between her and the faculty was an issue since last year students met only with the director. According to Fullman, the director did not communicate students’ problems to the rest of the staff, and as a result, Fullman did not feel that the professors were very understanding of her health problems and inability to meet deadlines. “We’re always looking towards improving the flow of communication and the connection between the sections and the lectures, so that’s always going to be something that we want to do more of and better,” Ross said. Similar to SIMILE, alumni will also play a bigger role in ITALIC next year, as they will be able to mentor next year’s students. According to Ross, ITALIC alumni have already expressed interest in being a part of the program next year, and a reunion evening will be held at the beginning of the 2014-15 academic year. 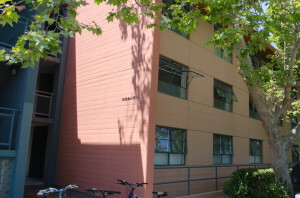 To prepare for next year, both programs are coordinating with the residential staff about dorm programming since both ITALIC and SIMILE students are the only ones who reside in Burbank in Stern Hall. “[Being in Burbank] is going to mean further expansion in collaboration between SIMILE and ITALIC … because whenever we get involved with the dorm and planning events, naturally, you’ve got overlap with SIMILE and ITALIC,” Haring said. Along with residential planning, the two programs will also focus on planning joint events. Last year, ITALIC hosted a field trip to Monterey that combined art with science history. The event was open to SIMILE students and was popular with both programs. “It was a really beautiful blend of art and science, and it was a really great experience for everyone involved,” Fullman said. According to Ross, the two programs will continue to work together in the future. Contact Elia Chen at elia ‘dot’ g ‘dot’ chen ‘at’ gmail ‘dot’ com.